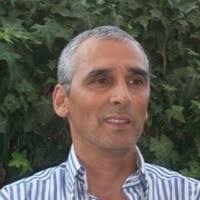 Eduardo Moraes Sarmento holds a Ph.D. from ISEG at the University of Lisbon. He is currently an Associate Professor at Lusófona University , where he is the director of the R-LEGO Journal. He is also a member of the Center of Studies on Africa, Asia and Latin America at University of Lisbon. His research interests are Economics and Development, Sustainable Tourism and Tourism Marketing. Cunha, Raquel; Sarmento, Eduardo (2018). The loyalty challenges in hotel restaurants in Lisbon. THIJ – Tourism Hospitality International Journal. ISSN: 2183-0800. 10(1): Pp. 35-54. Março. Carvalho, Teresa; Sarmento, Eduardo Moraes; Loureiro, Sandra Loureiro (2017). Insights about destination brand: Madeira case study. International Journal of Hospitality Management. 9(1): pp. 11-23. November. ISSN: 2183-0800. http://www.isce-turismo.com/revista-cientifica. Sarmento, Eduardo Moraes; Loureiro, Sandra; Rodrigo, Santo (2017). Análise do cluster do calçado em Portugal: competitividade e internacionalização. Revista Lusófona de Economia e Gestão das Organizações (R-LEGO). 5: pp.47-79. Sarmento, Eduardo; Loureiro, Sandra (2017). Recent gastronomic touristic tendencies based on a netnography model analysis. THIJ – Tourism and Hospitality International Journal. 8(1): pp. 11-23. Sarmento, Eduardo, Dória Canário; Carla Oliveira (2014). O papel do Guia Intérprete no turismo em Lisboa. International Business and Economic Reviews Journal Edition. 5: pp 57-75.